Since I started learning to quilt four years ago, I’ve discovered my favorite part about it is the socializing. There are times when I haven’t quilted for a whole year and pick it back up just in time to go to the annual Wheatwater Retreat in my hometown. It’s that much fun to hang out with other quilters. 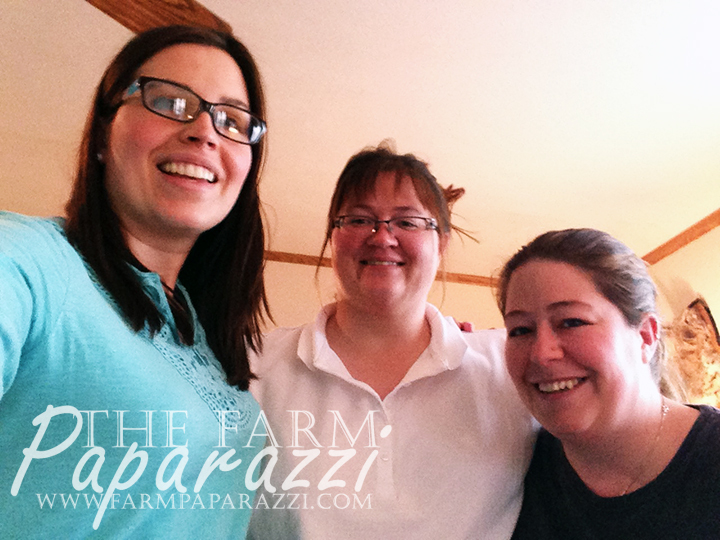 This weekend, two of my friends and I got together to quilt, eat, drink wine, quilt, laugh and quilt. What fun we had! None of us got a huge amount done, but we had a huge amount of fun. 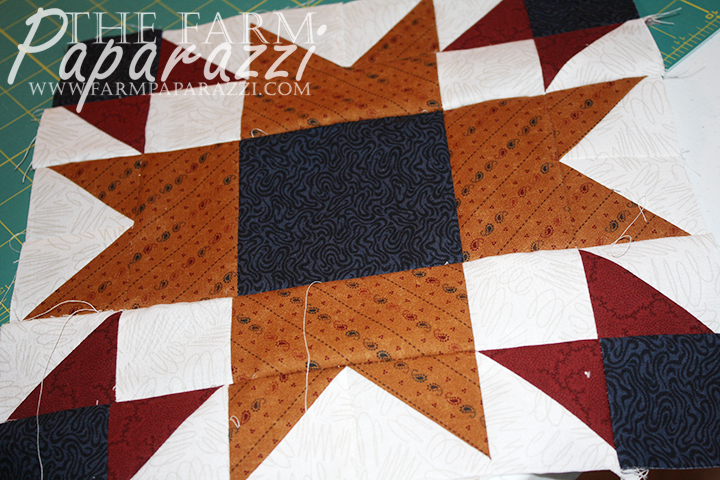 We’re looking forward to the next get together and hopefully more quilting friends can join us! 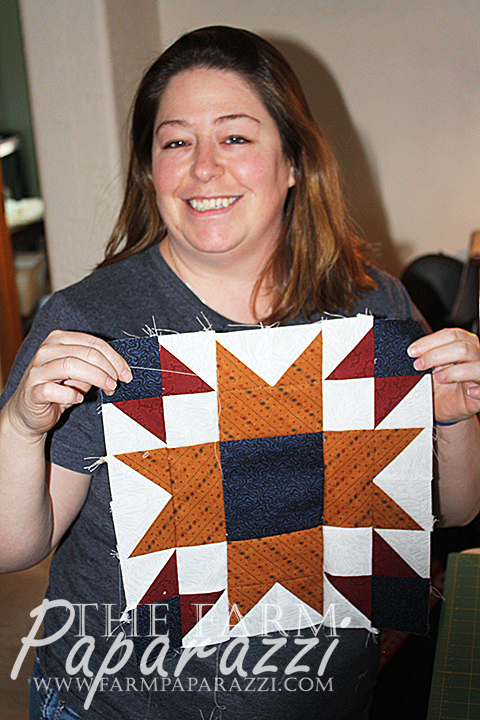 Leslie won the prize for first one with a block done! The prize was to hurry up and start on her second block. Leslie’s Wyoming State Block. Fun Fact: each state has a block! This is an inverted star block that I did. I need to replace the white and red striped fabric with something darker so you can really get the inverted effect. Got instructions for this block for free on Craftsy.com! 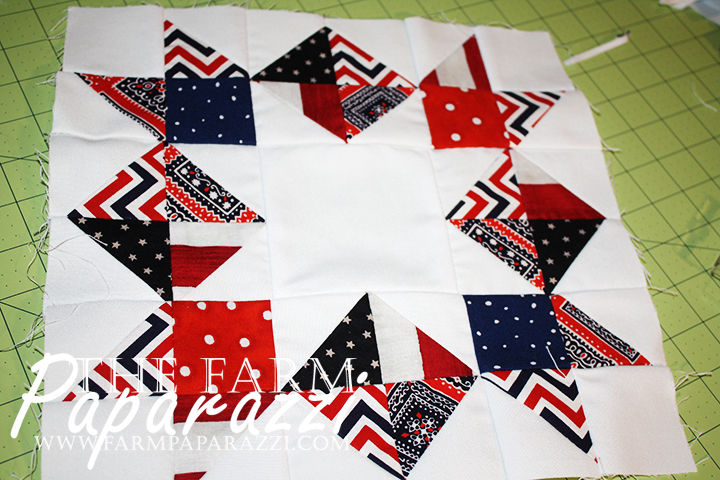 Carmen didn’t do any piecing, but she is working on embroidery pieces for a baby quilt for her new nephew. 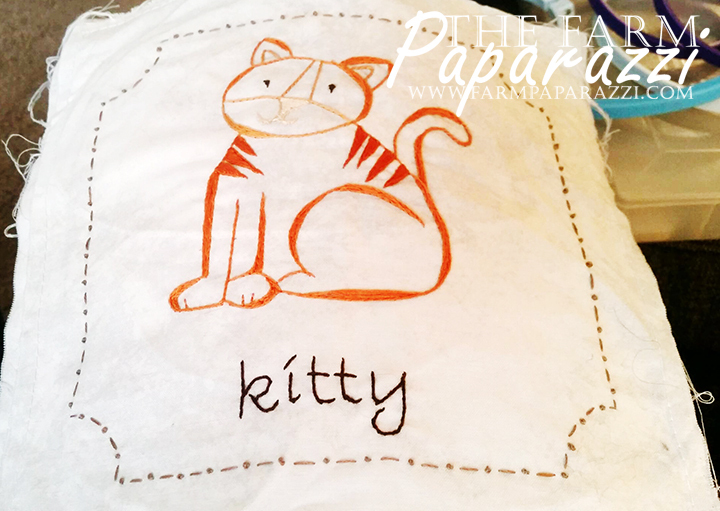 Each block is a different, hand-embroidered animal and will be adorable when complete. Now go forth and quilt with friends! Oh my!! What fun! Wished I lived closer to you! Thanks for sharing! I used to host a crochet group. It was such low key, creative fun. I really need help deciding which block to put on the side of our cottage/outbuilding. There are so many choices and they all seem just as good as the next. Any suggestions for narrowing it down? Hmm…you could go with your state block (you’re in Georgia, right?). Or you could look through a book of block names and pick one that suits your operation…like if you’re always breaking down equipment, maybe use the Wrench, or if you’re really forward thinking, maybe use Century of Progress. 🙂 http://www.quiltindex.org/browsepattern.php. Let me know what you pick! I’m going to put a photo of a square from a quilt we were given in my Friday post. I am happy to work on looking it up but if you or your quilters want to give me some hints I’d appreciate a point in the right direction! (: It has serious barn potential. I need a “friends don’t let friends have too many UFO’s” (unfinished objects) support group. Who’s in? I currently have six… and the makings of about 2,000 more. I’m slowly coming down with the same disease. We need a 12-step program!